The IHEU General Assembly 2016 took place Sunday 22 May, at the Excelsior Hotel, just outside Valletta, Malta. Voting delegates at the IHEU General Assembly 2016 approving new Member Organizations from countries including Iran and Pakistan. President Andrew Copson welcomed delegates, discussing recent political achievements in Malta, and outlining various proposals to be debated at the meeting which would in one way or another adjust the democratic structure of the organization. Read the full text of the Welcome speech. The General Assembly ratified the IHEU Membership of three new organizations with national scope: Atheist & Agnostic Alliance (Pakistan), Atheist Foundation of Australia, and Humanist Community of Iran. Two local or regional organizations were also ratified: Humanist Society of Greater Phoenix (USA) and Norwegian Humanist Association, Finnmark county (Norway). The General Assembly debated proposals aimed at adjusting the democratic structure of the IHEU. 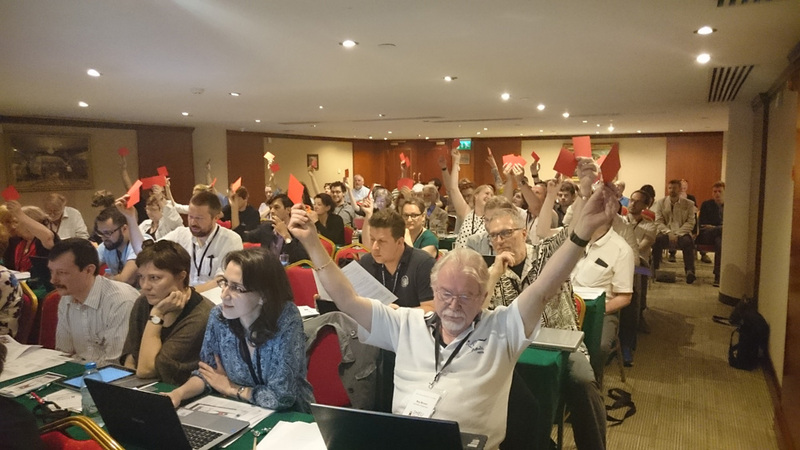 Delegates approved a resolution to change the IHEU Executive Committee into a Board. A full-time Chief Executive, Carl Blackburn, is now in place and is responsible for the day to day operations and management of the organization, including ensuring that decisions made by the IHEU General Assembly are acted upon. The new IHEU Board will ensure that there is strong and robust governance, and that IHEU remains democratic, representative, accountable, and humanist. The General Assembly changed the way that IHEU Officers are elected, agreeing that the President, Vice-President and Treasurer will in future be elected directly by delegates at the General Assembly (until now they had been decided upon by the Executive Committee). These elections will be held at consecutive General Assemblies, starting this year with the election of the President for a three year term. We are pleased to announce that Andrew Copson was elected as IHEU President, and will serve in this position until the 2019 General Assembly. Andrew was delighted and committed himself to the continued development of IHEU and to taking forward all of the reforms that were agreed at the General Assembly. Perhaps the most dramatic change was to make the new IHEU Board more globally diverse by increasing its size from 6 to 9 members, with spaces specifically for humanists from Africa, Asia and Latin America. IHEU does not cover all Board expenses, and a lack of resources has prevented Member Organizations from those economically poorer areas (often referred to as the Global South) from being able to participate on the Board. We were therefore delighted that two of the wealthier Member Organizations (from Norway and the Netherlands) offered to cover the expenses of the three additional Board members for an initial three year period. 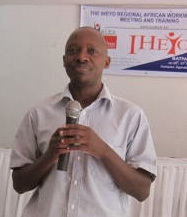 Following competitive elections, we are pleased to announce that the new IHEU Board members for Asia and Africa are Uttam Niraula (SOCH Nepal) and Kato Mukasa (HALEA, Uganda) respectively. 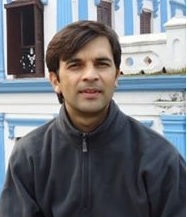 Both Uttam and Kato have been founding members of their nominating IHEU Member Organizations and both have previously been very active in our youth section, IHEYO. In addition to these two new Board members, and Andrew Copson as new IHEU President, the General Assembly also re-elected Rein Zunderdorp to serve a new three year term on the Board. All new and continuing Board members have pledged to take forward the work of IHEU, as outlined in the Strategic Plan, and to continue the reforms that are building and developing the organization to make it even more effective. IHEU Chief Executive Carl Blackburn presented the IHEU Annual Report, detailing the work done in 2015, including the launch of the End Blasphemy Laws campaign under the International Coalition Against Blasphemy Laws, of which the IHEU is a founding member. It also details, among other things, two new IHEU staff posts, project grant funding awarded by the IHEU for humanist work by Member Organizations in the developing world, and the introduction of regular e-newsletters for Members and supporters. 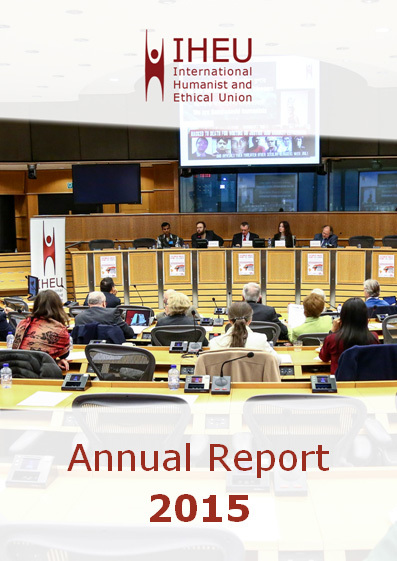 Download the PDF of the IHEU Annual Report 2016. Elizabeth O’Casey presented on her new role as IHEU Director of Advocacy and her work at the United Nations Human Rights Council. She looked forward to greater coordination between IHEU delegations, and other NGOs, and spoke about plans to more proactively include reports and representatives from IHEU Member Organizations at the Human Rights Council and in IHEU’s representation more generally. IHEU Director of Communications, Bob Churchill, presented on the Freedom of Thought Report. He recapped how the report covered discrimination and persecution against the non-religious around the world, how it was used in lobbying work, and announced changes to future editions. In particular, he said there would be more emphasis on the separate thematic strands of the report, and the introduction of new data-driven “fingerprint” graphs, which would help to visualize the different statuses of countries with more nuance. He demonstrated a prototype page from a new online edition of the Report, which would make all the content more accessible and more easily searchable. From the floor, former IHEU President and long-time representative of the IHEU at Geneva, Roy Brown, commended the Freedom of Thought Report as “the most important work IHEU has ever done”. This year’s award goes to someone whose entire career was a history of breaking new ground, first professionally and then in their humanist life. Professionally, she began as a teacher in non-confessional (secular) ethics. At that time she was among the founders of her local humanist youth group, and then later became the first female president of the young humanist organization nationally in her country. She was active in her national humanist association, both on the regional as well as on the national level. She joined board of a very successful “Humanist House” in Gent (Geuzenhuis). Meanwhile in her professional life, she became a school inspector and represented the teachers’ organisation at a certain Belgian humanist organization, then becoming the first female president there. When she professionally retired in 2012 she was invited to become the ombudswoman in non-confessional ethics education. Obviously this was a pledge she was able to keep! So I would now like to say to you, Sonja, thank you from each and every one of us, for your work, your dedication to the humanist movement over many years, and not least for your friendship. You have a tremendous place in our hearts. For your nine years as president of the IHEU and your many decades of ground-breaking work in secular education and ethics, the Distinguished Services to Humanism Award 2016: Sonja Eggerickx! President-elect of IHEYO, Marieke Prien greeted the IHEU General Assembly and looked ahead to the European Humanist Youth Days in July, and IHEYO member Rosslyn Mould spoke about her role in the Humanist Association of Ghana and the value and benefit of Humanism in Ghana, in Africa and for the world. IHEU Board member Roar Johnsen gave a presentation on the next World Humanist Congress, to be held in Brazil in 2017, outlining a programme that would focus on secularism and church-state relationships in South America and globally. More information can be found on the dedicated website at whc2017.com.br. Closing the proceedings our returning President, Andrew Copson, noted in particular the achievement of our first new board members from Uganda and Nepal, echoing the words of Uttam Niraula that new Board members from more diverse backgrounds will act as a “catalyst for change”. The introduction of direct elections for some Board roles, with three-year mandates, would increase the capacity for leadership as a whole. Andrew said that as President he “would take that mandate very seriously”.